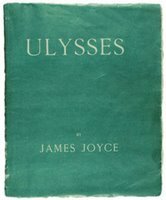 Woolseymas is observed annually on December 6, commemorating the 1933 decision by US District Court Judge John M Woolsey in the case United States v. One Book Called Ulysses that the James Joyce novel Ulysses was not pornographic and therefore could not be obscene. 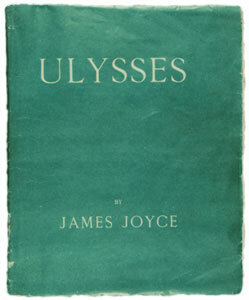 The United States Court of Appeals for the Second Circuit agreed and called Ulysses “a sincere portrayal” and “executed with real art.” Ulysses was safe to sell in the United States. 1877 – The Washington Post newspaper is first published. covering up • Penguin has commissioned fashion designer Sir Paul Smith and shoe designer Manolo Blahnik to revamp the jackets of some of its biggest titles. The first of each design has been signed by its designer and will be auctioned online in aid of the charity English PEN, which campaigns for the freedom to write without fear of censorship. writers rally • Thomas Pynchon joined literary heavyweights such as Zadie Smith, Margaret Atwood, Thomas Keneally and Kazuo Ishiguro in the defense of Ian McEwan who has been accused of using elements of another writer’s work.